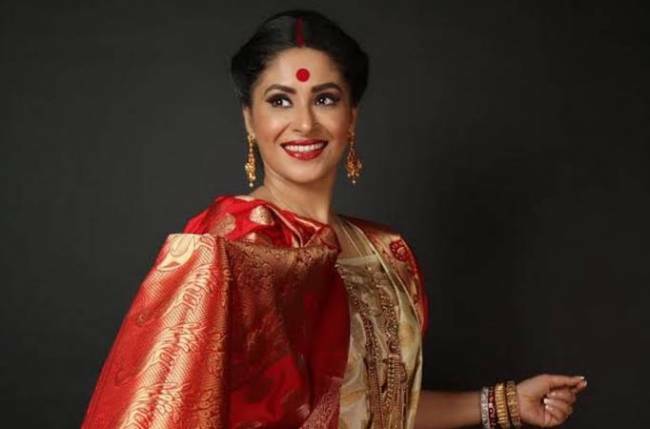 MUMBAI: Actor Shubhaavi Choksey talks about being a part of Kasauti Zindagi Kay 2, her journey in the industry and how it’s changed over the years. You have a very unique name, what is the meaning and what is story behind your name? The meaning of my name is “auspicious girl” and the story behind it is quite interesting. When my mother was pregnant with me, my father’s business started flourishing. Later when I was born, the minute he picked me up somehow ‘Shubh’ came out of his mouth. So he actually made up this name. Which was your last TV show? After how long you have made a comeback on TV? It’s been 7-8 years now. What was the reason for such a long break? My child…I wanted to give time to my child till he could take care of himself. I have been pampered by my grandmother and my mother, so I wanted to give the same thing back to my child. How has marriage has changed your life? Tell something about your husband? My husband is a complete opposite and I am extremely happy about that. He is very calm, composed and not so loud- like me!! One of the biggest similarity is that we both are grounded. I’ve always been like a bird. Love to fly high and I don’t like anybody who puts me in a cage. Luckily, whether it was my dad, the first man in my life or whether it is my husband, the second man in my life, both of them encourage me to fly and continue doing so. What prompted you to make a come back with Kasauti? Shashank Khaitan, the director of Dhadak, called me and asked me whether I would like to do a small role in Dhadak. I said yes I instantly for 2 reasons… one because Shashank is a friend and secondly, it was a Dharma Production and there was so much buzz around that movie. It was just a couple of days shoot, so I knew I would be able to manage it. The very next morning after the Dhadak screened , I got a call and they said that they are from Balaji and that there is a role in Kasauti Zindagi Kay 2. I just asked if it’s a negative role or not. They said it is not and I took it up. How much you relate to your character Mohini Basu in Kasauti? Not at all. The number one reason for that is that I hate anybody who looks down upon people. Secondly, I don’t think you should make friends or associate with people, according to their money or the status that they have. The third thing is that she dotes more than required on her son and I don’t pamper mine so much. For me, the most important person in my life is myself, then my mom, then my brother, then my husband and then my child and then friends. Mohini is completely madly in love with Anurag. She can’t think beyond him. I am not like that. The biggest difference of Mohini Basu and Shubhaavi is that in real life I wear shorts, T-shirt and watches but I never wear jewellery. I only wear a wedding ring which my husband has gifted me. What is so special about your look in the show? Do u enjoy having a Bengali look? I think more than having a Bengali look, I enjoy the fact that there is a creative team who put this look together with so much poise and grandeur. Else , I would look very young without all of that. They really wanted me to look older, like a mother, so they planned it that way. How is it working with Parth Samthaan any interesting incident to share? Parth is the kind of guy who doesn’t talk much but when he gets comfortable and starts talking, he’s a lot of fun. Basically, on the sets itself, Erica, Sahil, Pooja Uday sir and I get along very well. With Parth, it took a little time. But when he opens up, he is a lot of fun . If I talk about working with Parth professionally, I would say that what he has elivated immensely as an actor from the first day to now. Kudos to that. How is it working with Erica Fernandes any interesting incident to share? Erica and I get along like a house on fire. She is very warm and caring. Sometimes, even while performing the scenes, I feel like why I am being mean to her because she is always taking care of me. Working with her is amazing. She is a friend and I love that. How is it working with Hina Khan? It’s amazing to see someone who has done so much work , who has been there and done that time and again continuously for nearly a decade still has that zest to work. When Hina comes on the set, it is amazing to see how well she knows her lines. I love professional people and she is very professional. Hina is amazing, once they say cut, she is Hina and not Komolika. How do u feel on working with Ekta Kapoor again ? I think she is my lucky mascot. I started my career with Balaji unknowingly. I had gone for a cameo back then when I was 23. I just went to try acting on TV, otherwise, I always wanted to do my theatre in France and all of that. So, I said to myself that let’s just try this and check how it functions. Then they said that my character would become negative for which my reaction was like how can I become negative! But I must say that Ekta has a vision. She knows what you can pull off. So working with Balaji has been lucky for me. The industry has changed from Kyuki.. days what changes you find from then to now? I have been very fortunate as far as actors are concerned. That time also there were people who’s wavelength matched mine, whether it was Smiriti Irani, Ronit Da, Shilpa Sakhlani Rakshanda Khan . All of us were so respectful to each other and the same thing was also there during Kahani Ghar Ghar Ki with Sakshi, Kiran, they all had that. After that, when I came in Bade Ache Lagte Hai, I loved Ram. The only change that I could see from Kyuki Saas Bhi Kabhi Bahu Thi to now is that the language we used to speak has changed. It’s more natural and more interesting. Previous Previous post: Manasi Parekh lives the Gully life in her next!